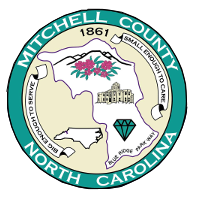 THE STATE OF EMERGENCY IN MITCHELL COUNTY HAS BEEN LIFTED AS OF 8:00 A.M. MONDAY, SEPTEMBER 17, 2018. WHEREAS, declaring a State of Emergency and imposing the restrictions and prohibitions ordered herein is necessary to maintain order and protect public health, safety, and welfare, and to secure property. Section 3. I hereby order all Mitchell County law enforcement officers and employees and all other emergency management personnel subject to our control to cooperate in the enforcement and implementation of the provisions of this Declaration, all applicable local ordinances, state and federal laws, and the Mitchell County Emergency Operations Plan. Section 5. I hereby order this declaration: (a) to be distributed to the news media and other organizations calculated to bring its contents to the attention of the general public; (b) to be filed with Clerk to the Mitchell County Board of Commissioners and (c) to be distributed to others as necessary to ensure proper implementation of this declaration. Section 6. This declaration shall take effect on September 15, 2018 at noon and shall remain in effect until modified or rescinded. DECLARED this the September 14, 2018 at 4:15 p.m.